Rediscover headphones with this flagship amp. Designed for the best sound from HD800/HD800S and other models, it has a high-calibre DAC and diverse connectivity options. Earn 2088 loyalty points when you order this item. Sennheiser HDV 820 Headphone Amplifier is perfect for running audiophile level studio headphones thanks to its high-quality digital design. This headphone is perfectly designed for you to get the best out of your hi-fi headphones, the impressiveness comes from its superior digital-to-analogue converter (DAC), its powerful amplifier, coupled with its selection of connectivity options, which allow you to enjoy your music over headphones like you have never before. This headphone amplifier is one of the very best we have ever heard at any price, making it a comparative bargain compared to other more expensive options from esoteric manufacturers. In fact, we have never heard HD800 and HD800S headphones sound this good. You can take advantage of our 30 day money back guarantee and try this amplifier at your own home with your headphones - although you will have the option to return it, we doubt you will want to send it back once you have heard how good your headphones can truly sound. The HDV 820 will substantially improve the performance of your headphones. 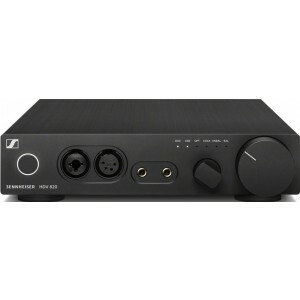 Running headphones with Sennheiser's HDV 820 headphone amplifier will amaze you as it picks up all the tiny nuances in your music that you may not have previously heard, from the differing timbres of individual instruments to the idiosyncrasies of a singer's voice. With this headphone amplifier, you will perceive sounds that previously did not exist. There are two things that mark a quest for perfection: It is never completed, and it has the potential to bring out the most extraordinary things with the power to shape the future within its field. Sennheiser's HDV 820, are capable of changing the way you listen to and enjoy your music. If you have a pair of studio headphones or pure audiophile headphones, you will be shocked by the extremely high-quality audio signal delivered by the HDV 820. Utilising Sennheiser's high-level technology in this model, you get to experience a richer and deeper emotional experience when listening to this amplifier. Based around the brilliantly high-performing ESS SABRE32 DAC that exceeds its predecessors with an impressive 32-bit resolution and 384kHz sampling rate. 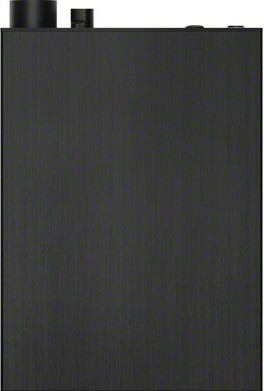 Therefore, DSD256 files reaching up to 12.3MHz can easily be handled by this amplifiers DAC. This headphone amplifier is a treat for your eyes as well as your ears. It is adonized with a black finish which combines with the white LED lights, matching Sennheiser's flagship pair of headphones, the HD 800s. The HDV 820 has a wonderful an array of outputs including the 6.3 mm-, 4.4 mm Pentaconn socket, XLR3 and XLR4. Therefore, connecting your headphones is easy and convenient, no matter which headphones you have. 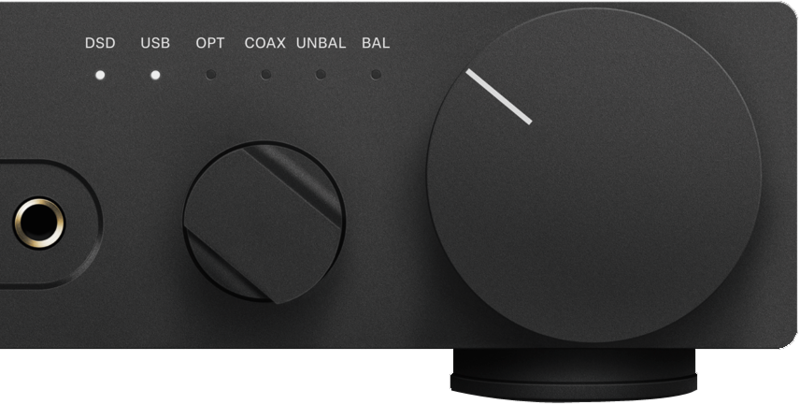 The HDV 820 connects to digitally with a USB input, or optically and coaxially, and it also has balanced XLR and unbalanced RCA analogue inputs. Plus, the power cable is country specific and you will receive a country-appropriate power cable included with the model.